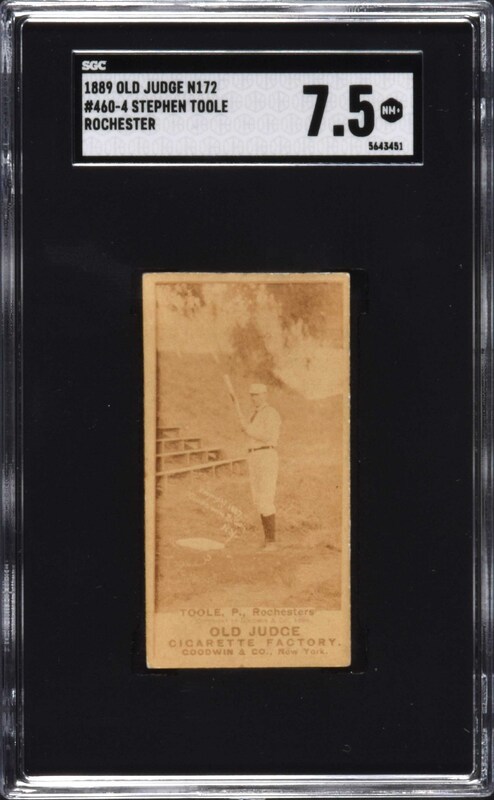 Lot # 47: 1888 N172 Old Judge Stephen Toole SGC NM+ 7.5 - Highest Graded! 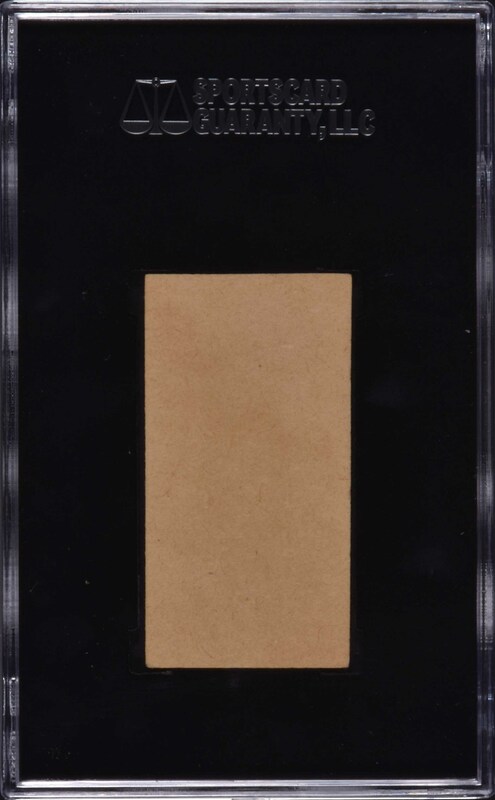 Graded NM+ 7.5 by SGC. This is the ONLY example graded at this level with none higher! Outstanding ultra high-grade N172 Old Judge example of Stephen Toole (#460-4 pose) of the Rochester Flour Cities of the New York State League. Toole is depicted in an outdoor scene, which is not tremendously common among cards within the N172 set. This is a stunning high-grade N172 Old Judge! It is an ideal sample. Bright, crisp, and clean, front and back, with square corners, a flawless surface, and excellent centering. The reverse is perfectly clean. This is a very striking high-grade example from the most important of all 19th-century sets. Reserve $300. Estimate $500+.